Isabel de Warenne, Countess of Surrey – History… the interesting bits! Isabel de Warenne was the only surviving child of William de Warenne, 3rd Earl of Surrey, and his wife Adela, daughter of William III of Ponthieu. When her father died on the Second Crusade to the Holy Land, in around 1148, Isabel became 4th Countess of Surrey and one of the most prized heiresses in England and Normandy, with large estates in Yorkshire. In the same year, as part of King Stephen’s attempts to control the vast de Warenne lands during a crucial time in the Anarchy – Stephen’s battles with his cousin Matilda to control England – Isabel was married to Stephen’s younger son, William of Blois, who became Earl by right of his wife. William, it seems, was about 7 years younger than his wife, being born in 1137. William was removed from the succession to the crown by his own father, when Stephen made a deal with Matilda’s son, Henry of Anjou, that the crown would go to him on Stephen’s death. William seems to have accepted this, and served Henry II loyally until his own death in 1159. As their marriage had been childless, Isabel was once again a prize heiress. Although she seems to have a had a little respite from the marriage market, by 1162 Henry II’s youngest brother, William X, Count of Poitou, was seeking a dispensation to marry her. The dispensation was refused by Thomas Becket, Archbishop of Canterbury, on the grounds of consanguinity. 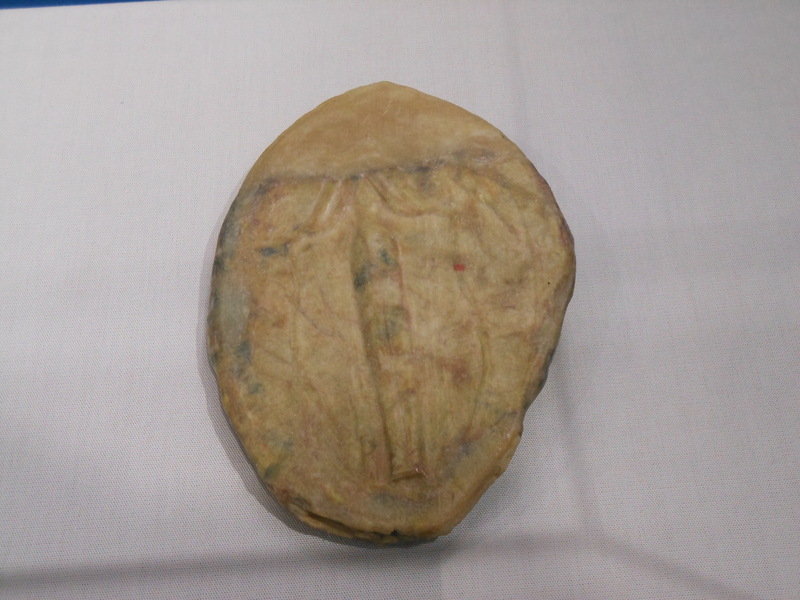 William died shortly after – it is said, of a broken heart. 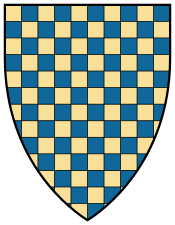 Henry was not to be thwarted on bringing the de Warenne lands into the royal family, and his illegitimate half-brother, Hamelin, was married to Isabel in 1164. Hamelin, in an unusual step, took his wife’s surname and bore the title Earl of Surrey in her right. The marriage appears to have been highly successful. Hamelin was loyal to his brother and his nephew, Richard I, and played a prominent part in English politics whilst Richard was absent on the 3rd Crusade. He also built the highly innovative keep at Conisbrough in the 1170s and 1180s. Isabel and Hamelin had four surviving children. Their son and heir, William, would become the 5th Earl of Surrey and married Maud, daughter of the great William Marshal. There were also three daughters, Ela, Isabel and Matilda, however it is possible Matilda was Hamelin’s daughter by a previous relationship. One of the daughters – although it is not clear which – bore an illegitimate son, Richard Fitzroy, by her cousin, John (the future King John). Isabel died at the grand age of 73, in 1203, and was buried at Lewes Priory, alongside Hamelin, who had died the previous year. Photos: The de Warenne coat of arms taken from Wikipedia. Consibrough Castle and the seal of Isabel de Warenne © Sharon Bennett Connolly 2015. Thank you Karrie, that means a lot. I’m ashamed to say I hadn’t really heard of this lady..so thanks Sharon what was your draw to her life ? Anything in particular? 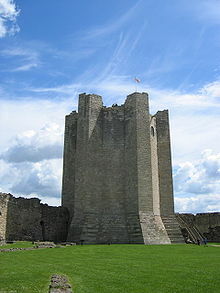 I used to give guided tours at Conisbrough Castle, Karrie – the castle that Isabel and Hamelin built in South Yorkshire. At the time I hadn’t realised how closely-related they were to the crown. I couldn’t find any pictures anywhere, I’m afraid, Travis. If you live in England, I’d recommend a visit to Conisbrough Castle. They have a wonderful display about Isabel and Hamelin, and the building of the castle. You would love it, being able to stand in a building that your 26th great grandmother actually lived in would be truly something. If I do find any more information about her, I’ll certainly let you know. Best wishes, Sharon. Travis Warren, Isabel is also in my family line…my 26th great grandmother. I’ve done a lot of internet resa. on her and am compiling all I can. You can find me on Facebook if you want to connect so we can share. Travis, any idea if the Mayflower Warren is from her line, too? My husband is one of his descendants. The Warren’s and Plantagenets crossed paths with Isabelle and Hamelin. Both lines were direct descendants of Charlemagne, and King David (David and Goliath). Why Hamelin was illegit to the throne is perplexing. “Mayflower Warrens” would be Arthur, and/or Richard. Seems Richard was more documented with leaving England and arriving in Massachusetts. Arthur only arrived in Massachusetts. May be due to plague and Three Kingdoms wars. I found an Arthur High Sheriff of Notts who had a son Arthur and Richard and a daughter Abigail. Seems Warrens of Virginia are also related through Sir Lawrence of Stockport DeWarenne (1500s), a common ancestor found through DNA. The Warren motto “Leo de Juda est robur nostrum” (The Lion of Judah is our strength) has legends in Knights Hospitallers, and DNA with Eastern Middle East origins. Although Hamelin and Isabel’s descent from Charlemagne is understandable, I’m always dubious about claims for descent from King David. I have to say, I haven’t come across such a claim in my research, although it was a medieval ruse, at times, to claim descent from biblical kings, in order to give a family legitimacy. There is, of course, no way of proving it – the genealogies just were not done, or if they were, they were not meticulous enough to be given credence. As to Hamelin’s illegitimacy, he had no claim to the English throne, he was a son of Geoffrey Plantagenet, by an unknown woman who was not his wife, not Empress Matilda, from whom Henry II held his claim. Pingback: The King’s Brother – History… the interesting bits! Pingback: The Children of King Stephen – History… the interesting bits! As a newcomer to your blog, I have been pleased to read so far two articles that have made me want to find out more about the people you mention. You certainly have a way with words that is both interesting and with a sense of ‘sharing’ rather than lecturing. This article was fascinating as I’d never really known much about Isabel and Hamelin -it was very heartwarming to read that they both survived into ripe old age together! Looking forward to reading the rest of your articles and thank you for all the time and effort you must have given to make this blog so fascinating. Sharon, great blog! I’m researching a possible line to Edward FitzRandolph of MA and NJ who is a descendant of Isabel de Warenne and Hameline Plantagenet (Mr. Isabel de Warenne). Just wondering if Isabel’s father or grandfather, William, was the William de Warenne who was a companion of William the Conqueror? Now for more of your fascinating reads. Thank you for this post about Isabel de Warenne (my 25th great-grandmother). I really enjoyed reading this!